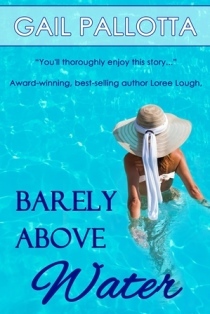 To celebrate the release of her new book, Gail’s giving away a copy of one of her books, Barely Above Water. To learn how to enter the giveaway read to the bottom of the post! Gail Palotta is my writer of the day. Let’s learn a bit more about her. Award-winning author Gail Pallotta is a wife, mom, swimmer and bargain shopper who loves God, beach sunsets and getting together with friends and family. Gail’s a former regional writer of the year for American Christian Writers Association, a 2013 Grace Awards finalist and a 2017 Reader’s Favorite Book Award winner. She’s published five books, poems, short stories and two-hundred articles. Some of her articles appear in anthologies while two are in museums. 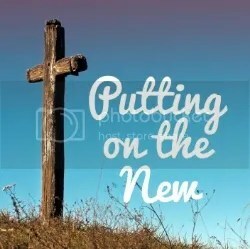 To learn more about Gail and her books visit her website at http//gailpallotta.com. Her latest book is Hair Calamities and Hot Cash. Sounds like a fun book. Gail’s going to share a behind the scenes look at it today. My mother’s beauty shop in a small town at the foothills of the North Carolina Mountains inspired Hair Calamities and Hot Cash. While my mother rolled hair, she listened to as many troubles as the local psychologist and heard as much gossip as the area’s nosiest busybody. But the caring attitude of every customer who entered the shop etched a special memory on my heart for my mother’s business and the town where I grew up. It’s even more precious in our divided society now when the word community only means a place to live. I wanted to bring back the camaraderie, acceptance, and respect for others that existed then. And of course, in my mind every town needs romance, mystery and humor. Blurb: New York stockbroker Philip Wells crashes his rental car into Eve Castleberry’s beauty shop in Triville, North Carolina. On the same day the young widow’s defective hair products cause wild hairdos. Philip’s attracted to the distraught top-notch hairstylist and asks her out. She starts dating him, but stops because she falls too hard for a wayfarer who’ll leave and break her heart. When there’s another catastrophe in the shop, Philip comes to Eve’s rescue and convinces her to go out as friends. Later he solicits her help to find the thieves who stole his client’s cash. Then they trail two of the FBI’s most-wanted criminals. Romance blossoms amid danger, suspense and Eve’s hair-brained plan to get back the money. To celebrate the release of Hair Calamities and Hot Cash, she’s giving away a Kindle copy of Barely Above Water, a 2017 Reader’s Favorite Award Winner. To enter, leave a comment. Winner will be picked on August 22. Don’t forget to leave a comment, if you want to win! Winner will be chosen on November 15!